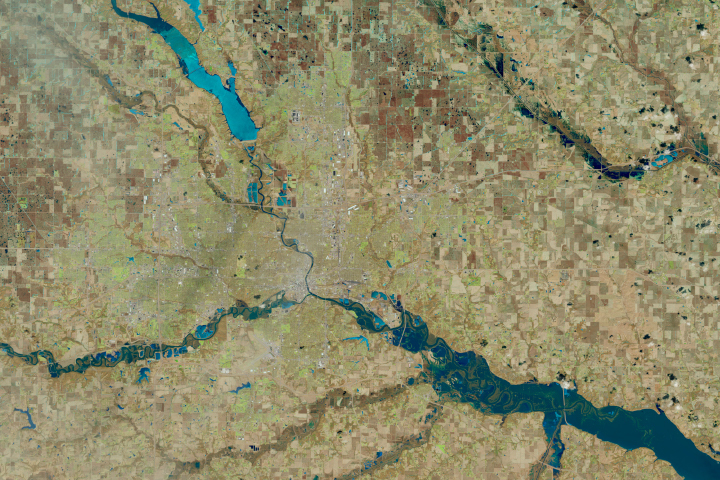 At least 200 gauges along the waterways of the Central United States—especially the Missouri and Mississippi river basins—reported some level of flooding on March 23, 2019. 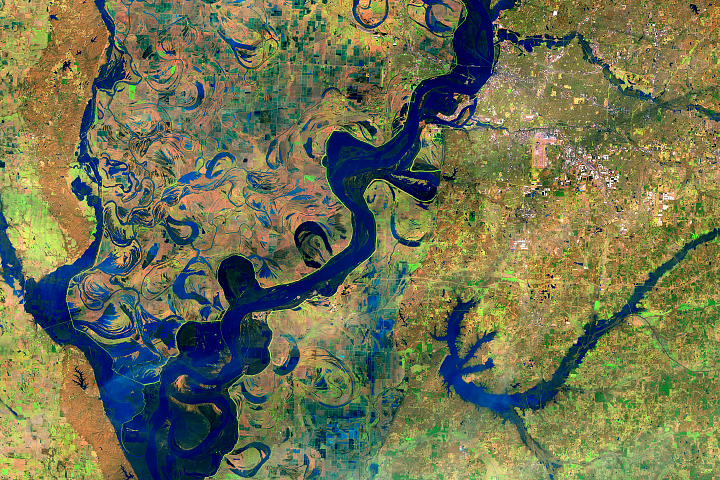 Thirty-six stations reported major flooding, and another 79 reported moderate floods. 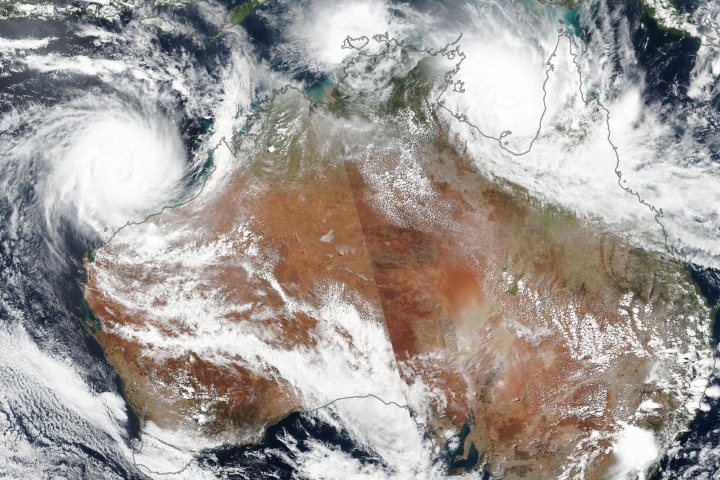 Historically high water levels could be a factor in the region for weeks, according to government forecasts. 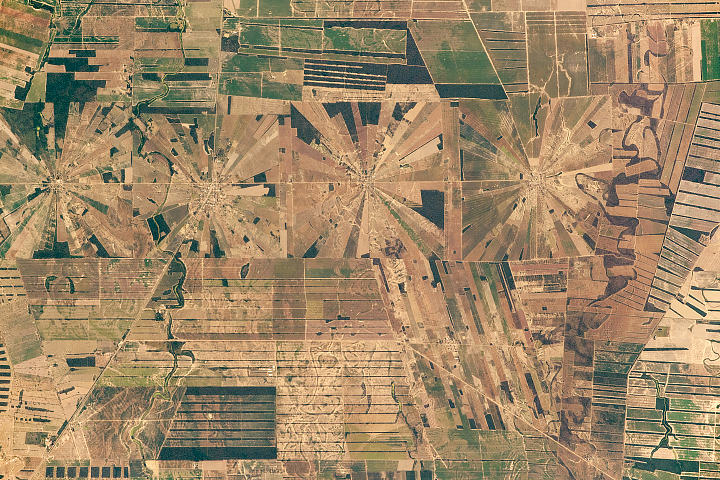 The Moderate Resolution Imaging Spectroradiometer (MODIS) on NASA’s Terra satellite acquired these false-color images on March 21, 2019. 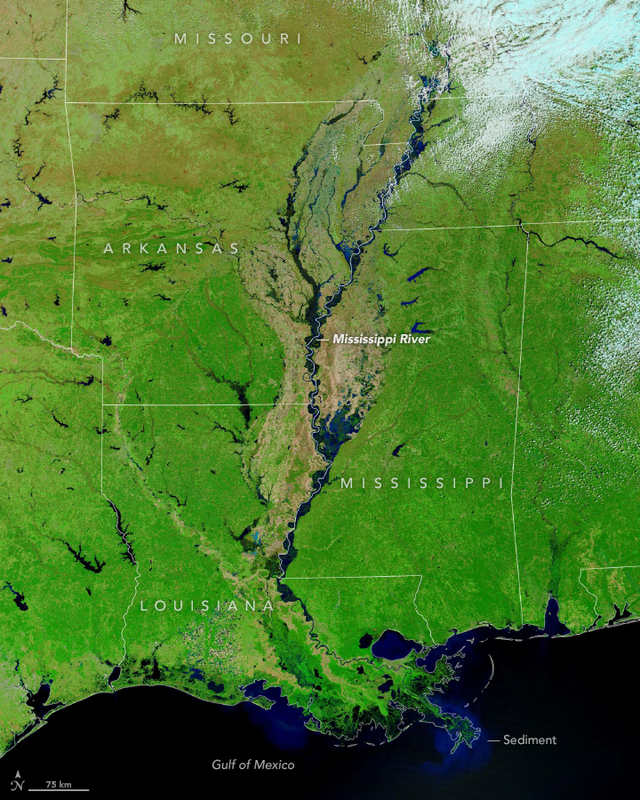 The combination of near-infrared and visible light makes it easier to see water out of the riverbanks and across the flood plains, particularly the broad plain and delta of the Lower Mississippi River. 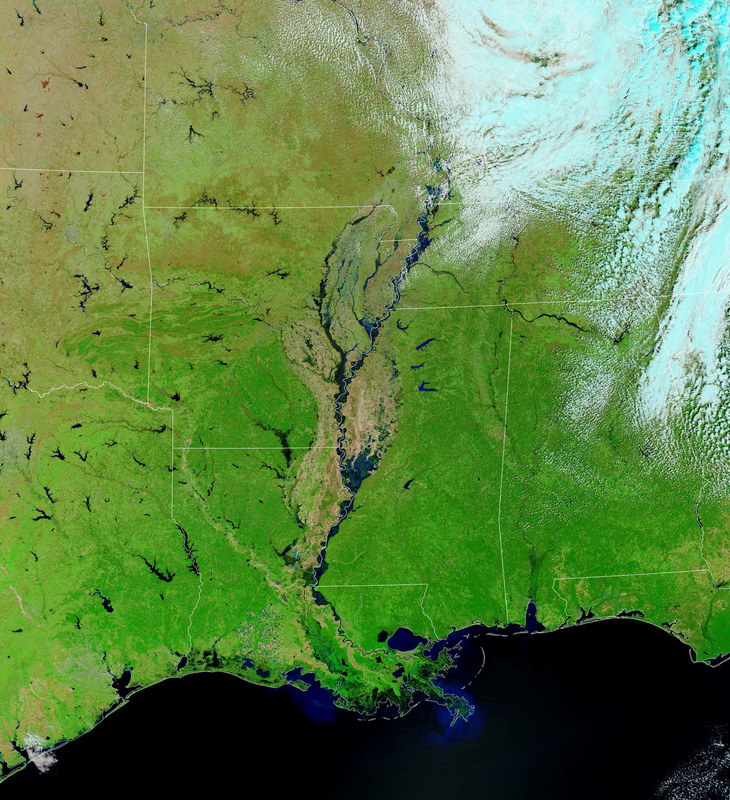 The current flooding has many causes, but the tipping point seemed to be a late-winter bomb cyclone that brought gale- to hurricane-force winds, snow, and heavy rain from the Gulf of Mexico to the Great Lakes. 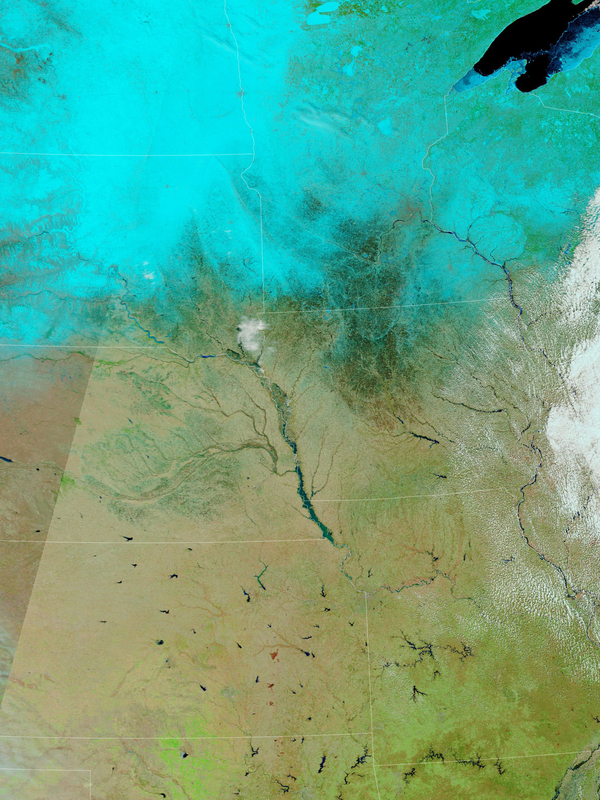 In many regions, the warm rain and warm weather during and after the storm caused snow to melt quickly. 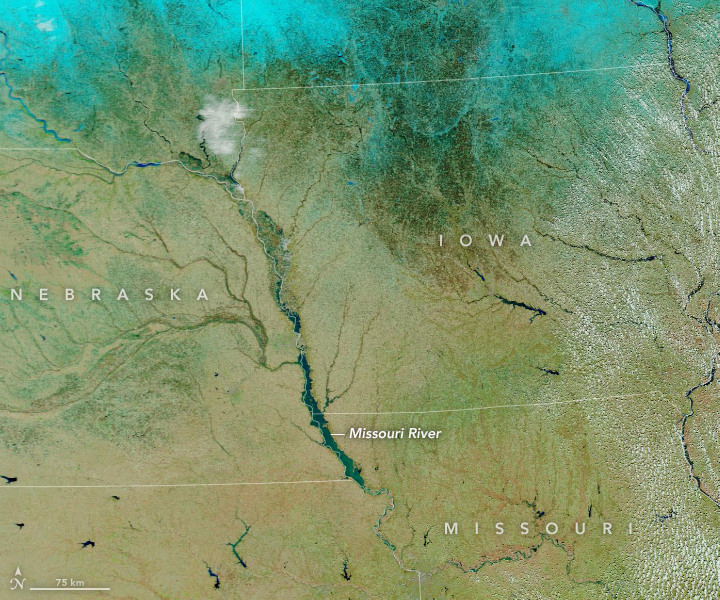 But since much of the ground in the Upper Midwest and Plains was still frozen, the water could not be absorbed by the soil and mostly ran off into rivers and streams. 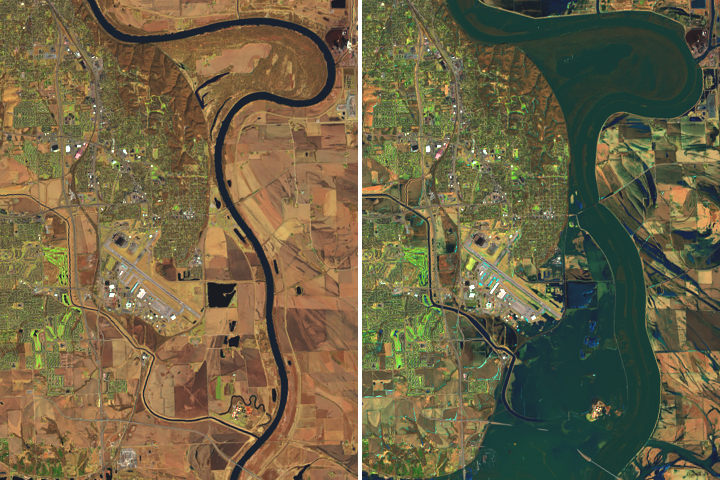 Ice-choked waterways also created natural dams, causing flood waters to back up. 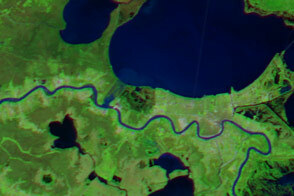 To mitigate flooding on the Lower Mississippi, the U.S. Army Corps of Engineers opened the Bonnet Carré Spillway in southern Louisiana in February. It marked the first time in the history of the spillway that it has been opened two years in a row. 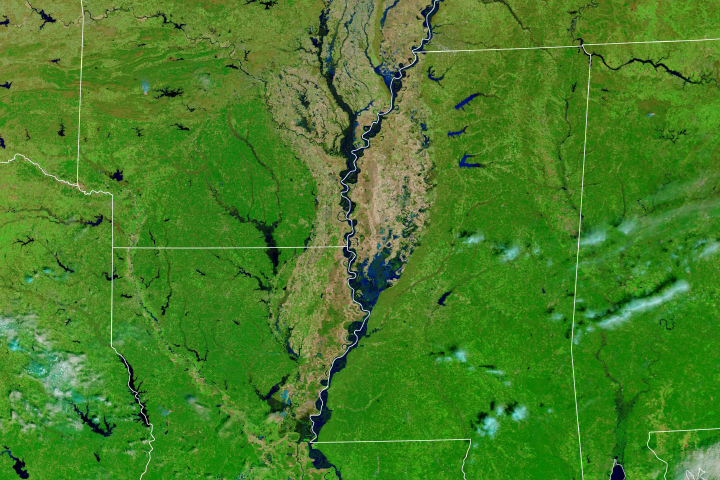 At least 200 gauges along the waterways of the Central United States reported some level of flooding. 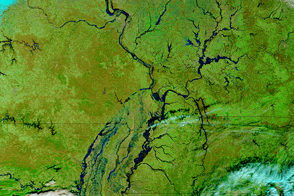 A wet fall and winter contributed to widespread flooding along the Mississippi River and its tributaries.